This is part of a two-part blog series. If you haven’t yet read Part 1, which contains trends 1-5, read it by clicking here. 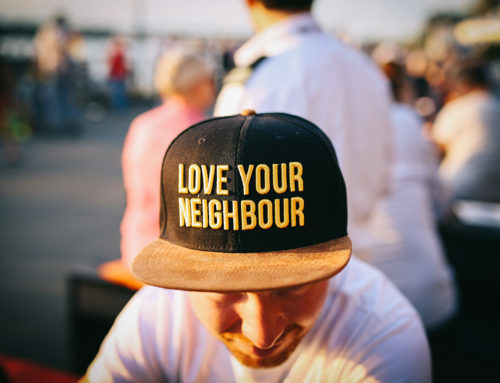 As I mentioned at the open of the last blog — the first five trends in Part 1 — we’ve seen some great, encouraging, and inspiring trends over the last year among disciple-makers, leaders, and churches. We are grateful to God for each of them. Now I want to transition from describing current trends to prescribing actions based on the needs that we are observing. We encourage you to consider how you can adopt the following practices. We believe they are foundational to the long-term effectiveness of the discipleship-first tribe. Download a beautiful PDF with all 10 trends by clicking here. People need God’s Word. The North American church needs to re-iterate her emphasis here. In generations past, this has been the norm, but not any more. In order to be faithful to God, we must maintain a high view of God’s Word — the inspired, reliable, trustworthy, and even infallible (when properly defined) Word of God. His Word is our ultimate and final authority. God’s Word — spoken and written — changes lives, and it works like nothing else. As the Reveal Study from almost fifteen years ago shows (revealforchurch.com), and as various independent studies have subsequently confirmed: daily engagement with the Word of God is the greatest single change factor for spiritual growth. This is why 2 Timothy 3:16-4:5 teaches that Scripture has been given to us for teaching, correcting, rebuking, and training in righteousness. We are living in a time when people are gathering around them teachers who say what their itching ears want to hear, to paraphrase Paul in 2 Timothy 4:3. True Jesus-style disciple making depends on God’s Word. Takeaway: Find ways to help people to know and follow God’s Word. The most effective method of Bible study is one which simply and regularly gets people into the raw Word. 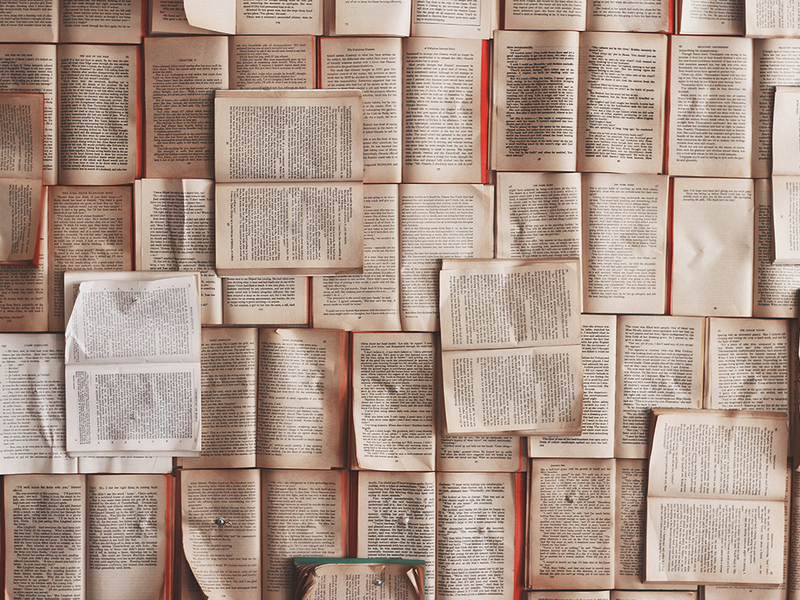 We are not talking about books about the Bible or inspirational devotionals from the Bible — or even application of the truths in the Bible. Each of these have a place. But nothing replaces the actual Word of God. What changes lives the most is the plain Word of God as preserved in Scripture. I keep seeing this and hearing about it from partner organizations and beyond. 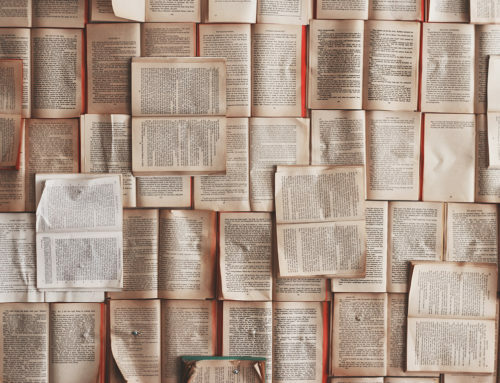 When people get into the Word of God themselves, it is often surprising how little guidance from experts they actually need – especially when they are seeking to learn the biggest life-changing truths about God. This is why methods like Discovery Bible Study (dbsguide.org), Oral Bible Storytelling (orality.net), and the Immerse Bible (instituteforbiblereading.org) can be so effective in disciple making. Takeaway: Find ways to overcome the two biggest barriers keeping people from God’s Word today – time and practice. Help people make time by introducing them to simple ways of reading the Word of God for themselves. This model is the exact same model that Jesus used with his disciples. He told them about God’s kingdom and the teachings of Scripture as he and his disciples 1) sat in homes, 2) walked along the roads, 3) and during their sleeping and waking times together. 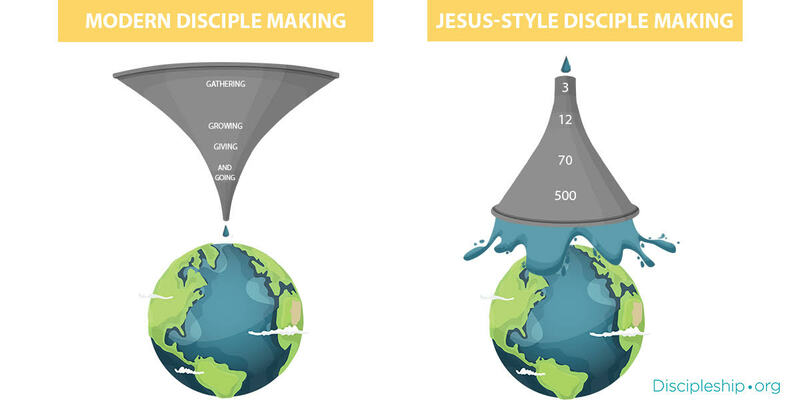 Contra the educational discipleship model (which focuses on the classroom), Jesus-style disciple making incorporates all of life, which moves beyond church buildings and programs. 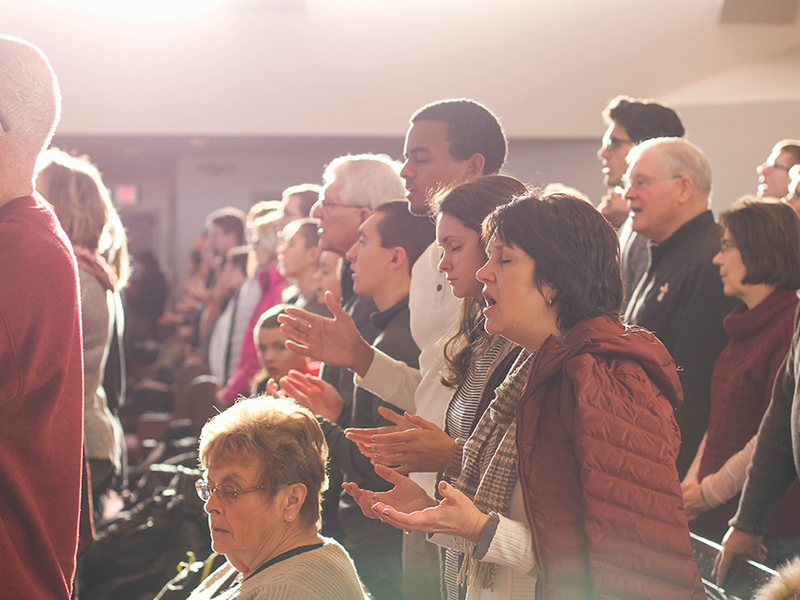 This practice ensures that disciples apply the teachings of God’s Word to their entire life. There is just no substitute for life-on-life if we want to help people to grow as disciples. Takeaway: Orient your church’s disciple-making practices around real-life situations and contexts, not just at the church or in programs. Grab a free and artfully designed PDF of all 10 trends by clicking here. Obedience has fallen on hard times. We are so concerned with being grace oriented and the role of the Holy Spirit in transformation that we forget about the dynamics of obedience. Obedience always begins with grace and it’s always empowered by the Spirit, but it’s never done apart from our will — and active participation (c.f., Philippians 2:12-13). Lets learn to properly emphasize obedience again. Jesus did not command us to teach everything he commanded but to teach people to obey everything he commanded. There is a really big difference between the two. Obedience-based discipleship is what the New Testament as a whole teaches us, so I created a diagram to show how faith and obedience function in the Bible: We must return to models like this one. Takeaway: Lets start talking more about “obedience based discipleship” and find healthy ways to recapture the hearts and minds of a new generation so that we can champion obedience to God. 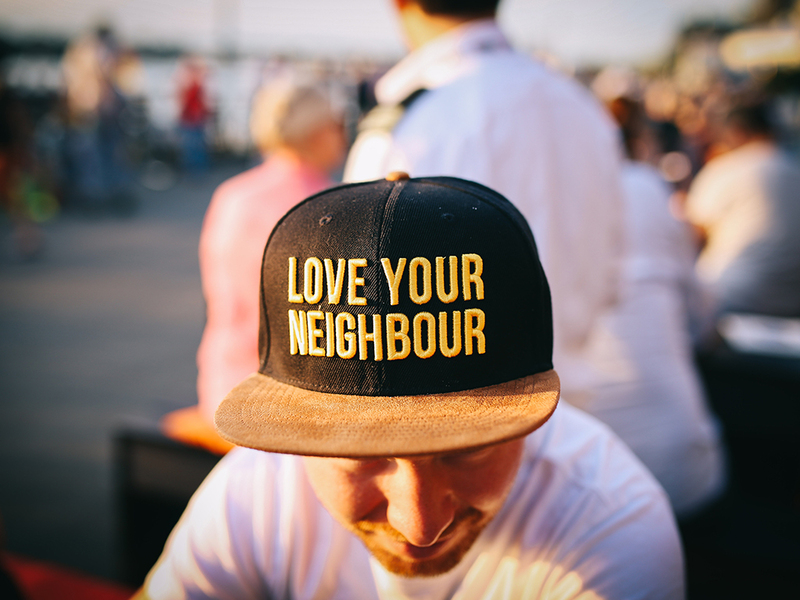 As we’ve studied disciple-making movements around the world — and learned that there are currently no true disciple making movements in North America (at this time), we came to one important conclusion. They do something that we do not commonly practice… they emphasize regular prayer and fasting! This is why we host Shodankeh Johnson (who leads a disciple making movement in Africa) at our National Forums and why we consult with organizations like Final Command Ministries, New Generations, and others from around the world who are making disciples by emphasizing prayer and fasting (check out the free eBook, Kingdom Unleashed on Discipleship.org). We want to learn how to fast and pray the way Jesus did and the way that Christians around the world today and throughout history have — so that we can petition God to move in a strong way among us. We do not believe fasting and praying automatically makes disciples or causes God to do one thing or the other (because there are nuances to how God works), but we do believe a fasting-and-prayer-focus is a vital key that is lacking in many efforts to make disciples today. Takeaway: Grow in prayer and fasting and encourage leaders and everyday-disciples to engage more regularly in fasting and prayer. 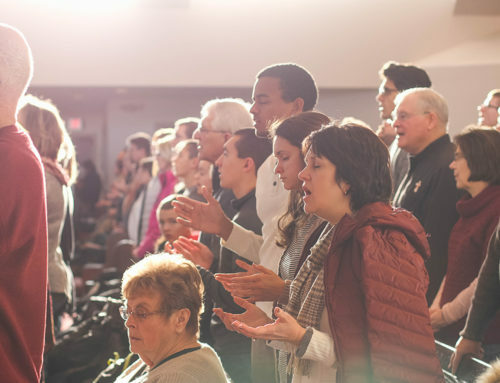 Discipleship.org partnered with David Clayton (one of our National Forum speakers) to publish a practical tool to help you and your church learn to fast and pray. It’s a short book called Revival Starts Here. You can order this Discipleship.org resource by clicking here. 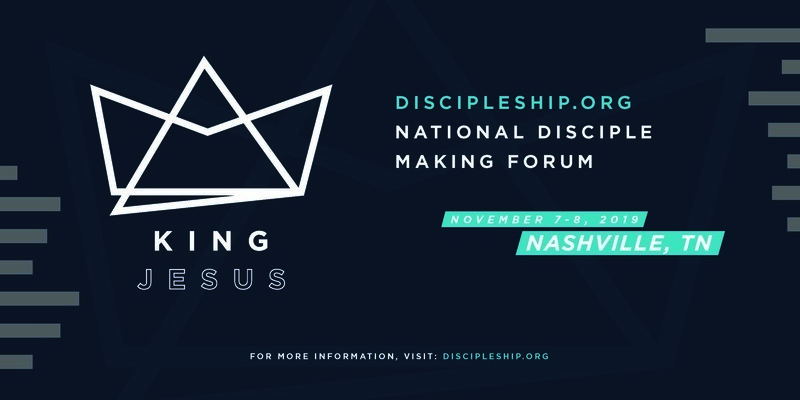 We believe this is an exciting time for disciple making as the church increasingly refines and encourages these efforts in North America and beyond. We believe that the way Jesus made disciples is the best way for helping people trust and follow him today — in any culture, any place and any time! 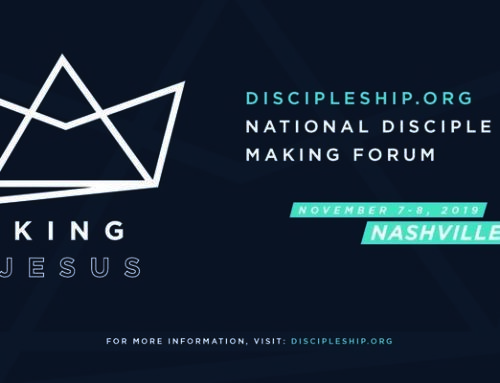 Thanks for letting Discipleship.org and our partners help to guide you in this quest.